Right from the start, PHD has been designing and developing down gear to perform at extreme levels of adventure: from high-altitude mountaineering through extreme conditions in the Polar Regions to mountain marathons and the great ultra challenges around the world. We have a long history of creating the lightest sleeping bags and down clothing specifically for mountain races. We're bringing some of our experience together in this Race Calendar to help you select the down sleeping bags and insulated clothing best-suited to these events. 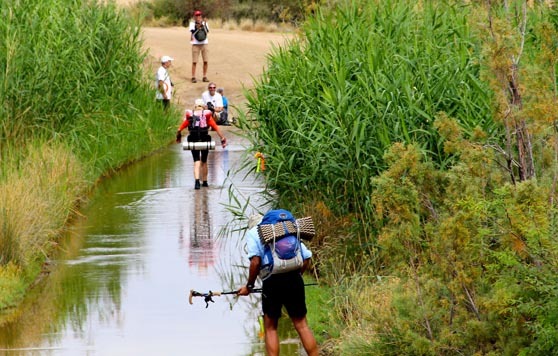 Whether you choose a two-day event in the mountains or a seven-day desert march, choosing the best available gear can have a major impact on your recovery overnight and your results on the days that follow. Good luck in your chosen event. Need a down sleeping bag, jacket, vest, trousers, mitts or socks fast? Check out our Ready Made range, ships within 5 days.